A few months ago, I began following Project Fit America (@fitamerica) and had nothing but positive interactions with my neighbor of the south. Recently, about 3 weeks ago, I received a shipment from them containing a package of one thousand (yes, 1000!) 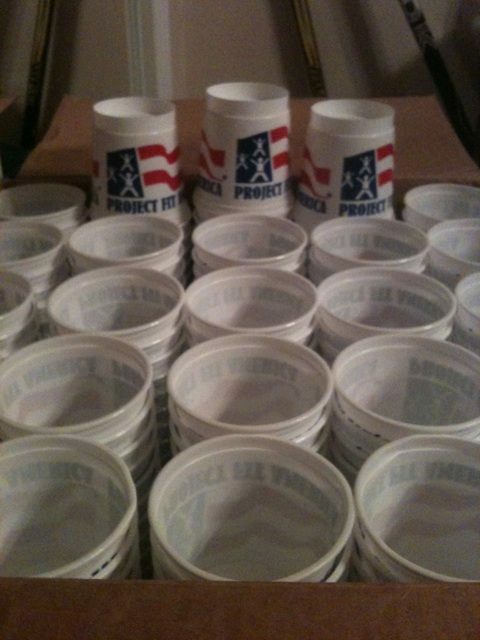 stacking/building cups, which I was told was the first shipment north of the border (Canada)! As such, I simply wanted to thank them once more, not only for their generosity, but for being an organization that truly believes in physical and health education and helping schools and teacher alike, even beyond the sometimes dividing borders between countries! 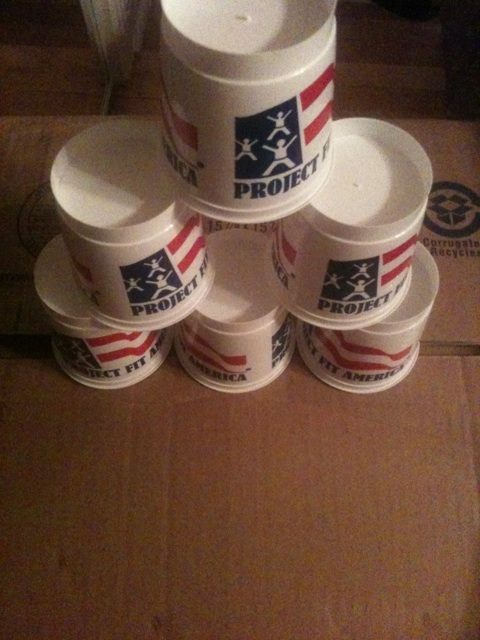 Thank you, Project Fit America, and I will surely put the material to great use. You have my word. Here are a couple of snapshots! Nicholas…we too were inspired by your PE passion and leadership within the PE community and beyond. This is exactly the kind of passion that changes kids lives and inspires. Proud to connect and look forward to the “action” pics of your students going “cup crazy!” Have a fun, fit day! 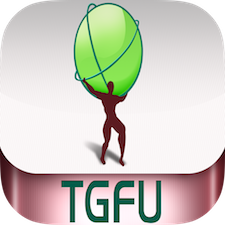 « TGfU Games for Elementary PE – Final Stretch!